When you’re at work or around town, you’re likely to hear some coughing and sneezing—and it’s probably coming from multiple illnesses! Colds, flu, RSV, whooping cough, and other respiratory illnesses can all look similar: coughing, aches, malaise, fever. Some healthy adults may have few or no symptoms, making it easier for them to get around and spread the illness, while those with weakened immune systems may get the full brunt of the illness. Be prepared for any respiratory illness circulating with a nebulizer, and get support right to your lungs. How to nebulize? Newer nebulizers are quieter, making it easier to watch a short show, read, or sit and plan. Spend a few minutes a few times a week with it and help support your lungs against pathogens you may come in contact with. What to nebulize? 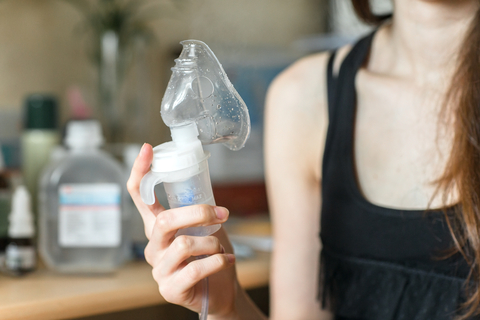 While an ER visit may send you home with a prescription for nebulizing, you don’t actually need one forbthe nebulizer itself, just make safe choices. Boiled and cooled tap water is currently considered good enough for neti pots, but it’s still got too many impurities for your lungs, so don’t nebulize it. You can buy special sterile salt water for nebulizing, or you can boost your immune support with colloidal silver. In addition to breathing in moist air (which feels great for lungs AND sinuses during dry winter months), it delivers targeted immune support for the lungs. If you don’t already have a nebulizer, get one now. Your whole household can be proactive against winter illness (especially if one person brings it home). Pair it with colloidal silver for optimal lung support.